Malta gives you the perfect amalgamation of a pristine coastline, lip-smacking food, and rich heritage. 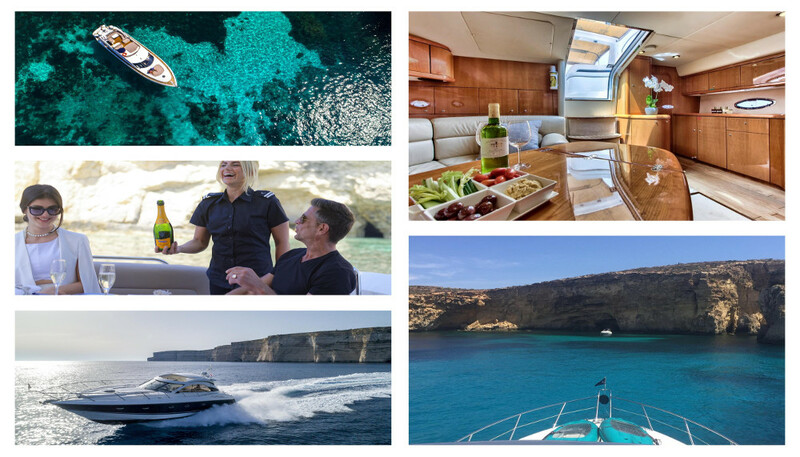 To make your Maltese rendezvous one of its kind, make sure you indulge in a luxury yacht experience by Azure Ultra. Azure Ultra offers luxury yachting getaways in the blue waters of the Mediterranean Sea. The best part is that they have both fractional ownership and private charter opportunities. This makes the premium experience more affordable for many guests. The team of experts can also design tailor-made packages for weddings, anniversaries, corporate events, team outings etc. Guests can choose from a fleet of premium motor yachts belonging to the elegant Sunseeker range, a favorite of many Hollywood A-listers. The company also owns a variety of sports yachts, leaving guests spoilt for choice. All yachts feature fully-equipped bars, spacious VIP cabins, overhead flybridges, salons and much more. In order to enhance your experience, the company has introduced fully-accredited captains on all yachts. The highlight of these boats is a hydraulic bathing platform where guests can soak in the sunshine, while admiring the sea. What sets Azure Ultra apart is the impeccable service provided by its onboard staff and crew. They are constantly on their toes, catering to every whim and fancy of their guests. This unparalleled hospitality is at par with any five-star property. Guests can also indulge in several onboard recreational activities and water sports. The experienced professionals at Azure Ultra offer suggestions on how to plan your itinerary, including secluded beaches, sea caves and other hidden treasures of the Maltese archipelago. The destination specialists also curate special packages to other coastal gems in the central Mediterranean region, including Sicily and the Amalfi Coast. A luxury yacht holiday is on the bucket list of many and Azure Ultra is transforming that dream into reality. Every corner of Azure Ultra’s premium yachts exudes luxury, making your holiday a unique and memorable one. It lends a new perspective to your Maltese experience. No wonder the company’s official slogan states “Beyond Ordinary”.